Backlinks remain hugely valuable in B2B marketing, whether as part of a deliberate search engine optimisation (SEO) campaign or not. So how do you get them? It’s not as clear-cut as you’d imagine. This article explains why, with a little help from some of the business journalists in my network. Before I get into that, I want to remind you why there’s so much hype about SEO. For those outside marketing, SEO is about optimising a website to make it search engine friendly. The goal is to take actions that make Google and others search tools favour your website above another; to push it up the rankings for search terms you want to be found alongside. Most people don’t look beyond page 1 of search results. So if you don’t appear there, the person searching ends up on another website instead of yours, probably a competitor’s. Here’s an example. Anyone searching for ‘B2B public relations consultant’ should find my LinkedIn profile is the only one on page 1 of Google.co.uk. This is not a happy accident but the result of deliberate effort. If you don’t appear on page 1 of a search, do you exist? That position may change by the time you read this, mainly because of what follows. The big problem with SEO is this: nobody knows with enough precision how search engines actually work; nobody except the geek squads at Google and co, that is. What we do know is that the factors used to rank one site over another are many, complex and constantly changing. Periodically Google drops hints or introduces something new. At this point all the self-declared SEO experts rush around trying to understand what this means and what they should do as a result. It’s a constant battle to keep up. Just when you think you’re getting somewhere, the rules change and you have to revise what you’re doing. In spite of all this, one search ranking factor that’s remained pretty constant in its importance is backlinks. In this short video Google’s Matt Cutts tells us it will remain so for some time to come. 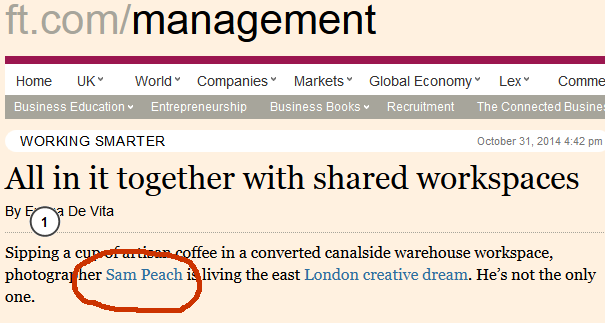 Backlinks are the links you see in a website article that take you to another site – the highlighted names or collection of words that are ‘clickable’, as shown below in an example from the FT. All genuine backlinks are valuable but some are more highly prized than others. A backlink from the BBC or FT matters more to your SEO ranking (and visitor traffic) than one from an obscure blog site with few readers. The former is seen as a ‘high-authority’ site by Google. Secure a link from one of those and you’ll see a spike in website traffic, and some of those visitors may turn into customers. A high-authority site means the search engine considers it trusted, relevant and influential. So how do you secure back links from sites like this? Some happen naturally without intervention. However, most companies need to take a more active stance. The starting point is to create interest in your business, product/service or interviewee (usually an expert commentator) on the right website. Working out your story, how to pitch it and which writer to approach are all challenges in themselves. Another is finding comment opportunities while they’re still live. You can actively track these using services like HARO, Gorkana, ResponseSource (£) and the Twitter hashtag #journorequest. A good PR consultant will bring their own opportunities and generally raise the odds of success significantly. Let’s assume you have reached the point where you will be interviewed for an article. Can you rely on the writer or target website to always include a link? The answer is no, for a variety of reasons. Different sites have different editorial policies on linking to other sites. Remember, the goal of most media websites is to keep you on the site for as long as possible, not send you off somewhere else. Some media sites have no clear-cut policies at all. In addition, journalists don’t operate in a neat, uniform way. Some know the linking policies of the sites they write for but ignore them; journalists today are busier than ever. Others abide by the policies but find the links they’ve added get stripped out by sub-editors. And a few say they don’t have any say on links at all – that’s the sub’s job. These are the findings of my research among senior-level freelance business journalists. Between them they write for the Financial Times, Forbes, Economia, The Guardian, Director, the Sunday Times, and others. 1. Do you find different publishers each have different link policies? 2. Are you free to include as many links in a piece as you wish? 3. Are links subject to editing like the rest of your submitted copy? The varied answers I received explain why securing high-authority backlinks is no easy task. That’s not what peddlers of dubious SEO expertise services would have you believe. Just Google ‘high authority backlinks’ and see what people are promising. When I did this I found people on Fivrr offering 800 links for $5. Don’t believe the hype. If anyone tells you it’s easy, treat them with suspicion, unless it’s Rupert Murdoch. So, what can you do? It may not work, but it’s a small ask. Plus, you’ll be making the request just at the moment when the writer (hopefully) feels like they want to reciprocate for the help you’ve given them. If you’re familiar with Robert Cialdini’s work on influence, you’ll know that reciprocity is a powerful psychological tool. The worst that can happen is that you get mentioned but don’t get the link. There’s still plenty of SEO value in an unlinked mention, according to what we know about ‘implied links’ and recent patent filings by Google. Just consider this. Often, you’ll be interviewed alongside competitors. If you ask for a link and they don’t, your company could end up being the only one linked to. It could make a huge difference to what happens when people read the published article. Ofcourse, the inverse also applies! In the end, always remember that it’s not necessarily the journalist’s fault if a link does not appear. The writers I canvassed talked of links getting edited badly – sometimes sending readers to an unintended site. On the rare occasion this happens, treat it like you would if they got your name wrong or misquoted you. Don’t over-react and start demanding corrections. Mistakes happen, so just accept it as all part of the game. No journalist you want to build a good, lasting relationship with will thank you for pointing out minor errors, or those outside their control. You also probably figured out by now that if you’ve got someone in your organisation managing SEO and website analytics, it would be a great move to get them working effectively with your PR advisers. Do that and you’ll soon start to see better results all round. 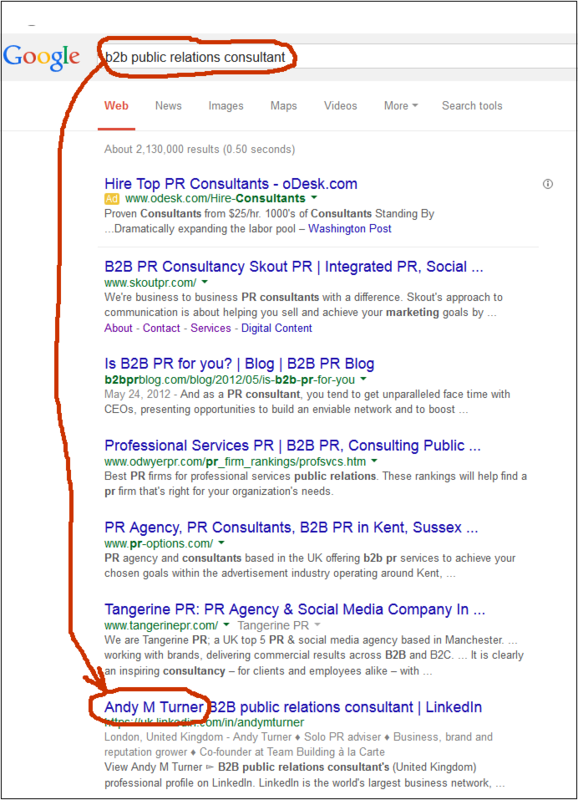 Very good article and very good advice with regards to high PR backlinks nowadays. I would certainly add that social signals are a major ranking factor in 2015 and are a very safe means of giving your website a good ranking boost. Well worth investigating.